Mitie Group Plc announced yesterday that it has agreed to acquire Vision Security Group Limited, a wholly owned subsidiary of Compass Group Plc. VSG is a leading security services provider offering integrated security systems, manned guarding and key holding services, with a team of approximately 6,000 employees servicing more than 1,400 guarding locations and over 5,000 systems locations across the UK and Ireland. The acquisition of VSG strengthens the position of Mitie’s Total Security Management business (“Mitie TSM”) as one of the leading providers of integrated and risk-based security services in the UK. 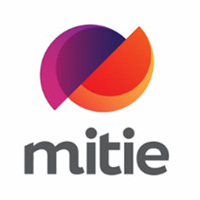 In particular, the combination will offer opportunities to accelerate the growth of Mitie’s premium technology-enabled and intelligence-led security solutions. The consideration of £14 million (on a debt free, cash free basis) will be paid in cash at completion, subject to any adjustment for final completion accounts, and will be funded through Mitie’s own cash resources. VSG reported revenue of £192.1 million and losses before tax of £2.7 million in its statutory accounts for the year ended 30 September 2017. At that date, VSG had gross assets with a value of £42.4 million. Although final accounts have not yet been closed, it is expected that VSG will report modest profitability for the financial year ending 30 September 2018. The acquisition of VSG constitutes a Class 2 transaction for the purposes of the UK Financial Conduct Authority’s Listing Rules. The acquisition is expected to be completed by the end of October 2018.